In the coming months, companies must begin following new practices that govern deployment of simple small cell and broadband attachments in the utility pole communications space. The rule changes are designed to speed and simplify deployment. This benefits new attachers, as well as consumers eager for the fast-approaching IoT technologies and 5G wireless. The new OTMR guidelines range from new requirements that must be met to shortened timetables for all steps of the process. The parties involved (particularly asset owners, existing attachers, and new attachers) now have new roles and responsibilities. The biggest change is that new attachers will be allowed to handle all make-ready work in as little as one visit, hopefully reducing the previously long process by more than three months. This shortened timetable will contribute to significant progress in speeding up broadband deployment. The accelerated schedule requires many adjustments, but the changes can be made in an efficient, logical way. With the proper approach, successful deployment can be handled safely and without damaging existing equipment. All parties will likely agree on these goals. Appointing qualified, approved contractors to perform the make ready work is one of the main solutions to ensure such goals are met. What Makes a Contractor Qualified? Below are 5 recommendations, taken from the FCC order, that define a qualified contractor. Follow the asset owner’s published safety and operational guidelines, if they are available. Otherwise, the contractor must follow National Electrical Safety Code (NESC) guidelines. Follow licensed-engineered pole designs for make ready work, if the utility requires it. Follow all local, state, and federal laws and regulations, including the Occupational Safety and Health Administration’s rules regarding Qualified and Competent Persons. Meet all safety and reliability thresholds set and made available by the asset owner, such as those pertaining to past safety violations or worksite accidents. Be adequately insured or establish an adequate performance bond for all make ready work the person will perform. If the asset owner has specific contractor concerns not covered by this list, it may add its own, but they must be clearly spelled out. 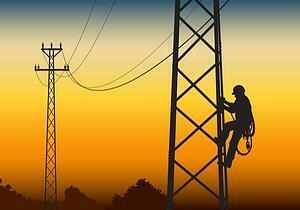 The FCC encourages asset owners to develop their own list of approved contractors. If the owner does not supply a list, the attacher may select contractors using the FCC requirements and any additional wishes established by the owner. This specific contractor selection process is new to both owners and attaching companies. And while it may seem overwhelming regarding where to begin, resources are available to make it easier. Let’s cut to the chase: the most efficient way to begin partnering with qualified contractors is through a joint use platform that automates OTMR processes. You may be asking, what does a joint use platform have to do with finding qualified contractors for OTMR? Let us explain. In the last few years, asset owners and attachers have been switching to our modern, data-driven platform to manage their joint use assets. Professionals in the industry were tired of systems that did not work for their data. They recognized the unnecessary man-power required to keep up with multiple systems, data spreadsheets, and continuously patching old legacy systems. Professionals in joint use were focusing on repetitive data entry, which took time away from the important aspects of their job. Our personal experience at Alden is that many companies in the joint use community have successfully started using our joint use management platform to manage their electric utility, broadband and telecommunications infrastructure. So far, our joint use platform (Alden One™) houses 490 companies in 39 states who are managing a combined 7,900 joint use contracts in the system. Alden One™ is rapidly approaching $1 billion in joint use transactions. When the OTMR order was established in August, Alden teamed up with McLean Engineering to create automated One Touch Make Ready workflows in Alden One™ to help our clients get compliant with FCC standards. McLean, established in 1936, is a nationally-recognized joint use consultancy and engineering firm that works with municipalities, investor-owned utilities, electric cooperatives, and state trade organizations to navigate joint use issues. McLean’s workflow for Alden One™ automates OTMR for asset owners, attaching companies, contractors, and stakeholders and ensures compliance with the policy. A key feature of the workflow is that it can incorporate asset owners’ authorized contractors. Only contractors who adhere to the agreed-upon construction and worker safety standards can be approved for participation in any Alden One™ OTMR workflow. This simplifies One Touch Make Ready for owners, attachers and contractors. Quality work that ensures worker and public safety is an absolute must. One Touch Make Ready rules and regulations must be adhered to by February 2019. States that are regulated by the order should be preparing for the new changes now. Need help with becoming compliant with OTMR? Contact us today to learn more. Our team will walk with you and your company every step of the way.